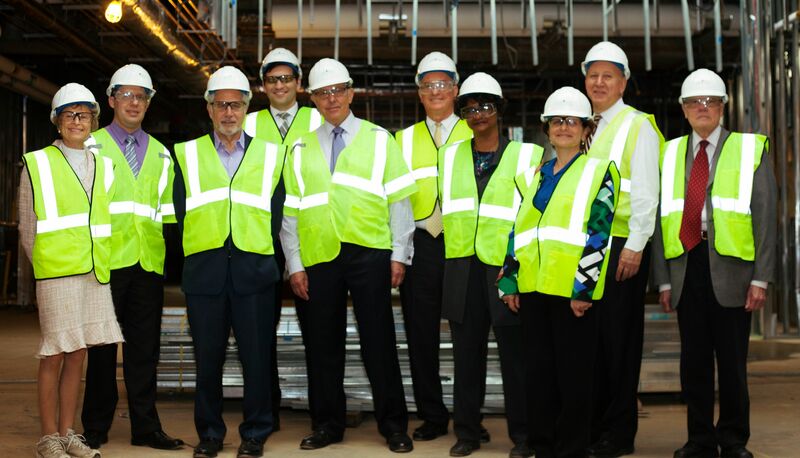 The Dean's Advisory Council (DAC) — a group of leaders within many constituencies of AUWCL, including law, academia, business, and the community — gathered and toured the construction of the new Tenley Campus on Tuesday, April 7. The DAC meeting also included a discussion of programmatic developments and law school initiatives. The Council convenes semi-annually to review on-going and future projects, to exchange ideas and to provide a breadth of advice based on the broad expertise of the members. Click here to view photos of the tour.